Parenting young children is extremely demanding. Imagine that you are a mother at home with a toddler and an infant. The baby has been awake every 2 hours for a feed and the toddler has given up napping. You have not had a conversation with an adult for a week and you are exhausted. There is a knock at the door and a volunteer asks, "What would be most helpful for you today?" The YAWN service provides just this kind of support to families with babies in the Blue Mountains. 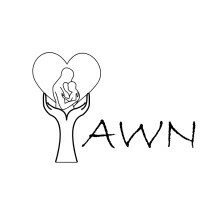 YAWN provides a service that assists in the nurturing and support of parents, creating an enhanced opportunity for the development of secure relationships in which both parent and child can thrive. This much needed practical assistance enables weary parents to rest and encourages confidence in their own parenting. It aims to provide support to families before there is a crisis, in a way that is respectful, inclusive and without stigma. YAWN helps to facilitate connections between parents, children and the broader community, encouraging sustained support that extends beyond a family's involvement with the service.